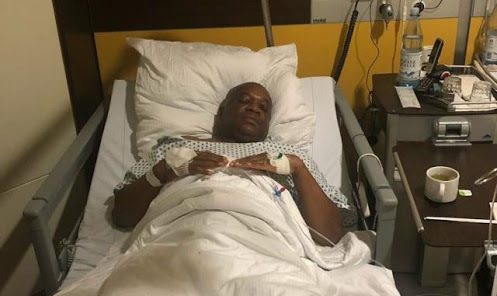 Former Governor of Abia State and APC senatorial candidates for Abia North, Dr. Orji Uzor Kalu has finally stepped out for the first time after undergoing surgery in Germany. Kalu was spotted with his senior aide, Shola Arogun looking a bit down. 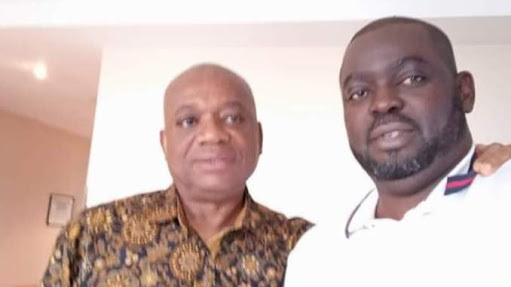 Igbere TV gathered that Kalu who is now back on his feet after the successful surgery will soon be back to Nigeria to continue with his ambition to represent the good people of Abia North at the National assembly. Recall that Justice Mohammed Idris, on 12th November 2018 retracted the bail granted to Kalu in 2007, when he was first arraigned before Justice Binta Nyako in Abuja in an EFCC case.